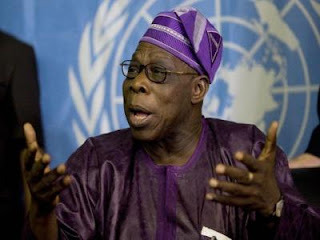 The Peoples Democratic Party and the Coalition for Nigeria Movement have supported former President Olusegun Obasanjo’s assertion that President Muhammadu Buhari administration is a failure. The PDP and the CNM, which stated this in separate interviews with our correspondents on Tuesday, advised Buhari to accept criticisms. The opposition party said that the former President spoke the minds of Nigerians on Buhari’s performance. The National Chairman of the PDP, Prince Uche Secondus, said that the PDP was not surprised at the summation of the President’s scorecard as a failure by the former President. He said, “President Obasanjo spoke the minds of Nigerians on the performance of President Buhari. We all know that the President has not done well. It is clear that the ruling party and the Presidency are asleep and do not know what to do with power. He, however, disagreed with Obasanjo on the apology the PDP offered to Nigerians and members of the party. On its part, the CNM asked Buhari to accept the criticisms and stop being recalcitrant. The spokesman for the CNM, Mr. Akin Osuntokun, said this during an interview with one of our correspondents on Tuesday. He said Buhari had done nothing but had been giving excuses in the last three years, adding that his penchant for blaming his predecessor was no longer amusing to Nigerians. Osuntokun said, “When Obasanjo became President in 1999, there were many challenges he inherited from the past military governments but he was working. Buhari has been in power for nearly three years and he continues to blame the past government. “Government is a continuum. Was he not expecting to meet any challenges? Which government doesn’t inherit challenges? Let him tell the world what he has accomplished in the face of challenges. But a senior lawyer, Festus Keyamo, on his twitter handle, berated Obasanjo. He stated, “For the records, the 2007 elections over which he (Obasanjo) presided was adjudged one of the worst the world has ever seen, prompting President Yar’Adua to apologise to Nigerians. However, a member of the National Executive Committee of the ruling All Progressives Congress, Alhaji Nasiru Danu, asked Nigerians to continue to support Buhari. He said that the statements credited to Obasanjo on the re-election bid of the President were his personal opinion, adding that the ex-President could not speak for Nigerians. Speaking during an interactive session with journalists at the national secretariat of the party in Abuja on Tuesday, Danu said though Obasanjo remained an elder statesman, his assertions on the performance of President Buhari were political.